We’ve all seen regular dominoes before—they look like rectangular tiles, twice as long as they are wide, with pips designating a number between 1 and 6 on each of their two ends. 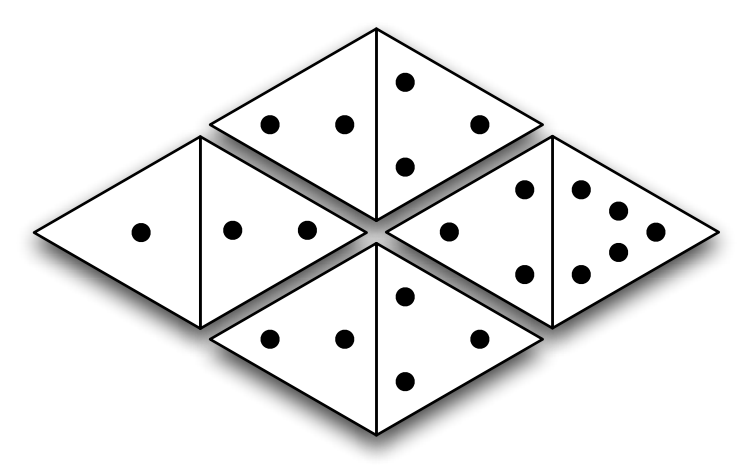 The object of a dominoes game involves some variation of tiling the dominoes so that the numbers on adjacent dominoes match up. Your task is to find a best tiling, in some sense, of some equilateral dominoes. If you score one point for every edge that is shared between two dominoes, what is the best way to tile a given set of equilateral dominoes to achieve the highest score? The input consists of multiple test cases. 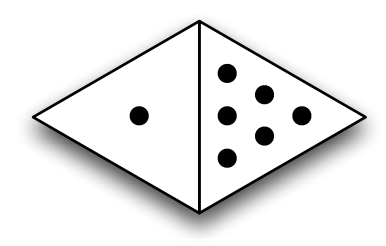 The first line of each test case contains an integer N, 1 ≤ N ≤ 6, the number of equilateral dominoes in that set. This is followed by N lines with two integers each (values between 1 and 6 inclusive), with each line indicating the pip values on each of the dominoes in the set. Input is followed by a single line with N = 0, which should not be processed. For each test case, output a single line containing the highest tiling score that can be achieved with the given set of equilateral dominoes. If there is no valid tiling of the dominoes, output a zero.